Forward is a short film about finding love in an unexpected place and what happens when fantasies don't match up with reality. In this film a man finds a woman's purse on the train, tries to return it to her and falls for her in the process. Chicago native Matthew A. Cherry is a former NFL wide receiver turned filmmaker who played for the Jacksonville Jaguars, Cincinnati Bengals, Carolina Panthers and the Baltimore Ravens. In 2007 he retired and moved to LA to pursue a career in entertainment landing work as a production assistant on over 40 commercials and as a director for over 20 music videos. Matthew received his first credit in 2008 when directed a music video for R&B artist Terry Dexter. Since then he has gone on to direct music videos for Michelle Williams featuring Beyonce & Kelly Rowland, Tweet, Jazmine Sullivan, Lalah Hathaway, Kindred The Family Soul, Snoop Dogg, The Foreign Exchange, Bilal, N'Dambi, Maysa Leak, Dwele, Najee, K’Jon and Take 6. In addition to directing music videos Matthew directed the short film entitled This Time starring Reagan Gomez-Preston & Terri J. Vaughn and recently released a new short film entitled Forward which premiered on Ebony.com. Matthew also writes & directs web series like the award winning series "Almost 30" and "Almost Home". Matthew's latest feature film 9 Rides premiered at SXSW 2016 in the Narrative Spotlight category and stars Dorian Missick, Omar Dorsey, Robinne Lee, Xosha Roquemore, Amin Joseph, Skye P. Marshall, Thomas Q. Jones & Tracie Thoms and is about a Uber driver who gets life changing news on New Years Eve. Matthew is represented in all areas at ICM Partners as a writer/director and was recently named to Paste Magazines list of Director's To Watch in 2016. His current project is titled "Hair Love" and it is an animated short film about an African American father trying to do his daughters hair for the first time. 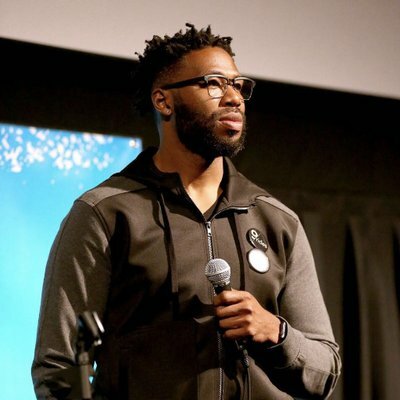 Matthew currently works at Jordan Peele's production Company Monkeypaw (Get Out, Lovecraft Country, Twilight Zone) as a film and television executive.